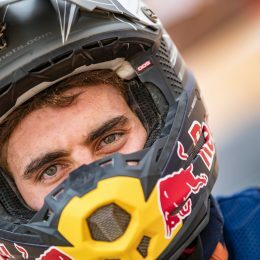 Some riders – like 2015 World Champion Romain Febvre – like to use this system, created by knee brace specialists and medical experts Asterisk in the United States. Two magnets – one clipped to the inside of goggles and another applied to each side of the nose by adhesive tape – assists breathing and inhalation. 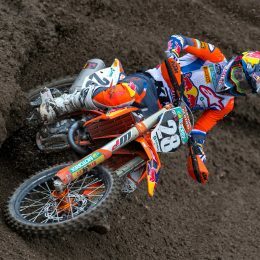 Febvre told us the nasal magnets get trashed after every use but he found the AC system helps for physical performance. 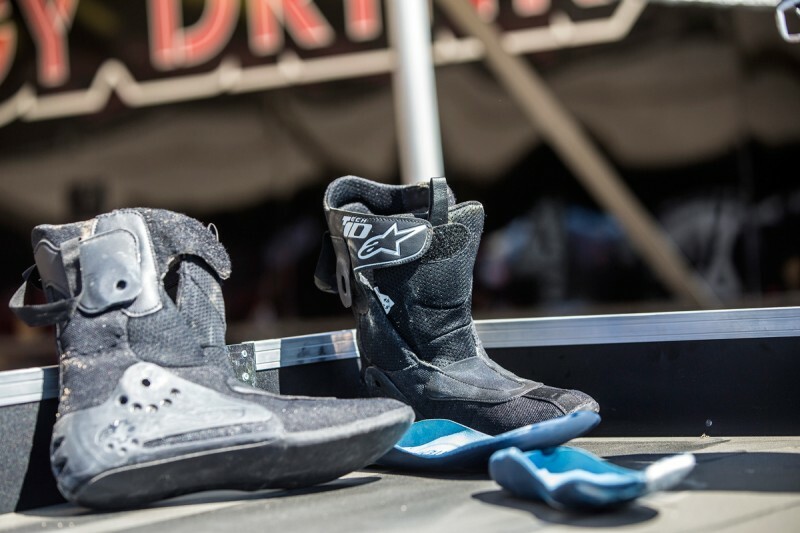 Alpinestars set a standard for modern motocross boots with their Tech 8 model that featured an inner ‘bootie’ for extra support and protection. The milestone Tech 10 took the technology a step further with a torsion system to work in tandem with movement of the leg and ankle. Even today the sight of a professional athlete walking around with an odd ‘half boot’ is commonplace in Grand Prix. 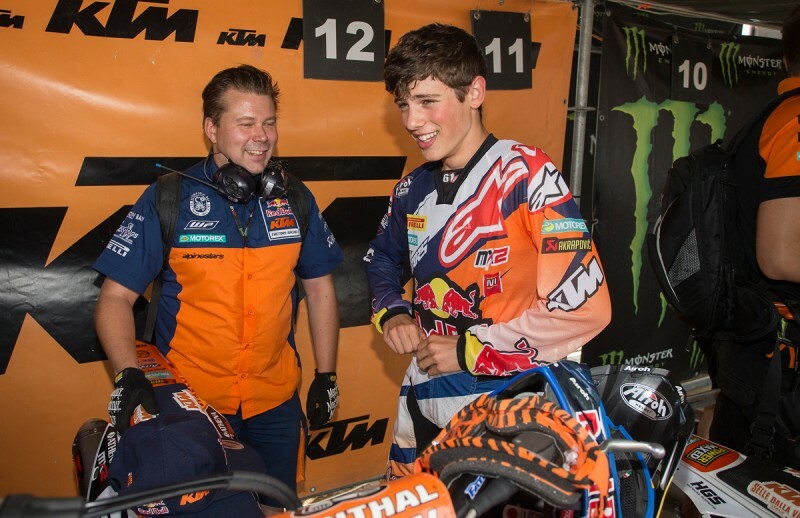 Red Bull KTM starlet Jorge Prado is a fan of getting dusty before getting on the bike. 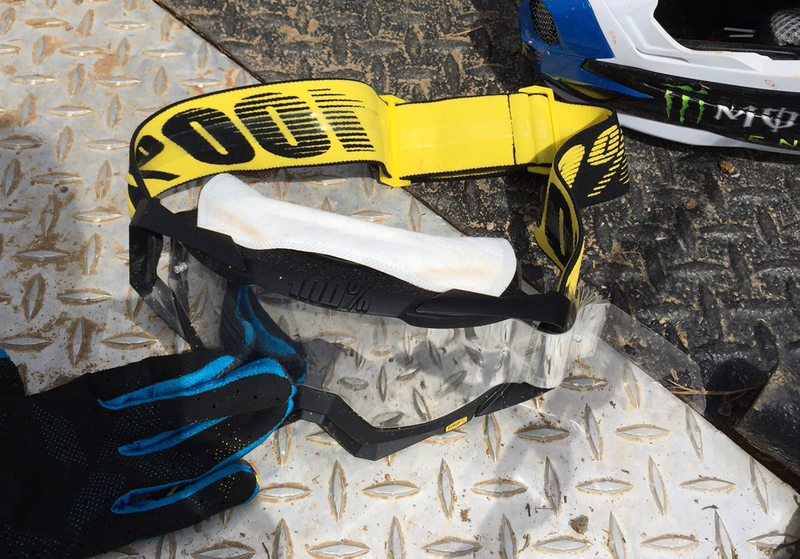 The teenager will rub talcum power onto his hands and then immediately place his gloves over the top. 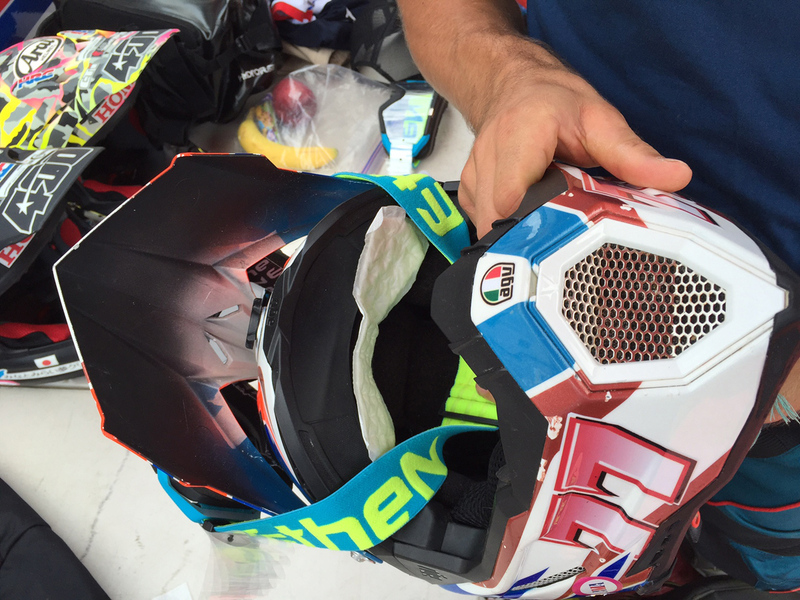 “For me it is a case of keeping the hands dry and minimizing sweat to cut down on blistering,” he explains. Best not to shake Jorge’s hand in a good luck gesture before he heads out to the track! 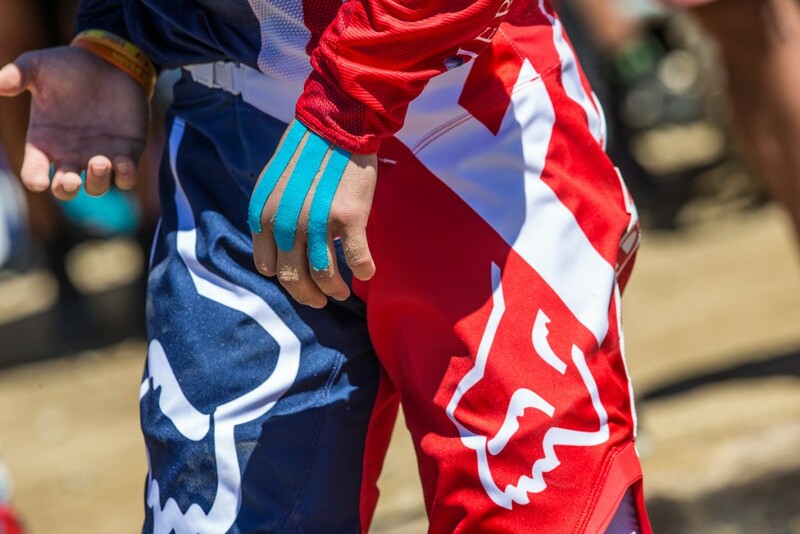 Motocross athletes can now be spotted with Kinesio tape and a form of treatment innovated by Dr Kenzo Kase at the end of the 1970s. 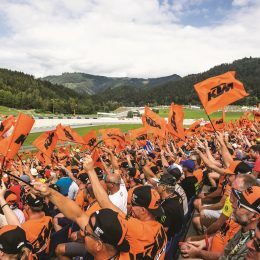 “It is quite late coming into motocross, we were using it in athletics even fifteen years ago,” explains Red Bull KTM physio and former sprinter Giuseppe Chiodi who practices on the athletes in orange throughout the paddock and is mostly responsible for all the physiological tape in a multitude of colors covering racers’ bodies. The Italian explained that he attended a thorough training program to learn how the method assists different areas of the body, supporting ligaments and easing muscular tension (a common complaint after a crash). The tape itself is made of cotton and is hypoallergenic and breathable … and comes in some wacky and distinctive shades.